Not sure if this has been posted, loved the last Rambo film hope this continues the tone. I like to pretend his Expendables character IS Rambo! But a fifth movie would suit me just fine. 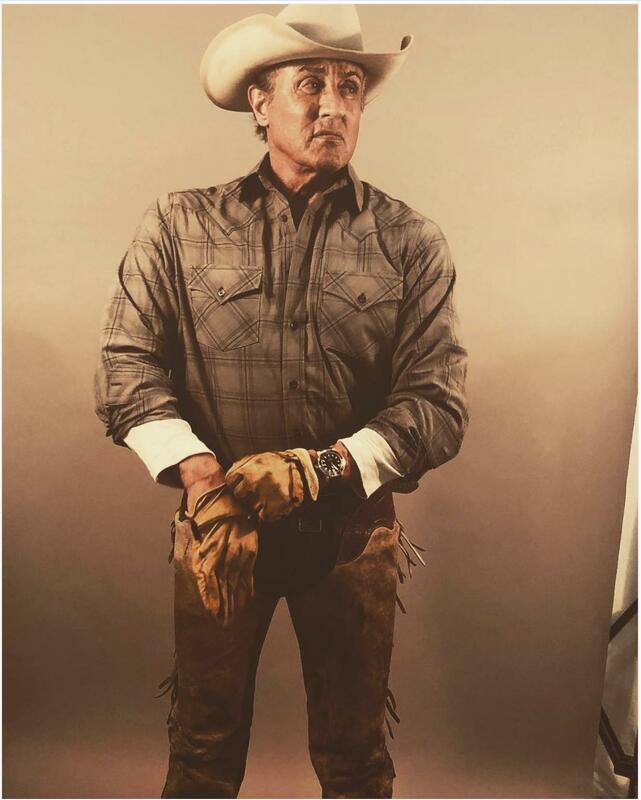 My only wish is that they follow he fourth movies example (which was very well done) and not have him do any crazy stunts that would only make the audience laugh at Stallone's age. Give me something like Clint Wastwood's Unforgiven, but with Rambo!! I guess they decided to not make it a TV show. Did I read that right, at one point they considered having Rambo fighting aliens? Give him long hair, a foul attitude, and a decent reason for revenge (or slaughtering hundreds of bad guys), and I'm in. The most recent 'Rambo' was fantastic because it was just that: he sets out to help some innocent people and massacres the bad guys in the most brutal ways possible. That's popcorn entertainment right there. Yep i think actually that the fourth movie is quite possibly my own personal favourite of the series! The first & fourth are stellar. The two in between were just fun looneytoons. Rambo is just plain dumb, and to compare it to the Cohens is just, well, plain dumb. That Oscar in the seventies went to your head, Sylvester. Looking forward to this one. Stallone is one my favorites! Could not find a Rambo 5 thread on search, apologies if one already exists. Interesting sub title to the next Rambo film, bookends the series also opens up possibilities within the narrative. I suspect John Rambo may die in this film. Loved the last one; no reason this won't be great too IMO. I've never had a chance to sit down and watch the Rambo series, but it is on my list. I remember Stallone saying once that he initially envisioned the original Rambo film ending with the hero dying, and I think that is how he will end this fifth film: Rambo going out in one last blaze of glory. The title could also be hinting at just this kind of idea. I enjoyed all the Rambo films. III being my favorite. I wish it the best. I've never had a chance to sit down and watch the Rambo series, but it is on my list. The first & last (so far) are really serious. The two middle ones could be skipped IMO. I wouldn't skip any. Watch the whole series. It's good fun. II and III are more action oriented but that doesn't make them bad. II and III are more action oriented but that doesn't make them bad. I've watched them all multiple times, but I wasn't much of a Rambo fan in my childhood/teenage years. It's not a kid series, so that doesn't surprise me. I even had a Rambo knife. 'Till I broke it. in the original novel Rambo does die-- and isn't exactly the protagonist either. The Sheriff is more 'good guy' than Rambo. Yeah, Rambo was more like Godzilla in that. I read it after I saw the movie back in '82, and I really didn't like it. But I saw what the film-makers saw they could use. My impression was that it was originally intended to be much darker, but once Stallone was signed, his Rocky persona forced them to make Rambo the underdog & more sympathetic. It worked well in the end. And I totally appreciated Stallone making use of the alternate footage from FB in the last movie- it gave it an increased emotional resonance. I'm all for it. I like the title they are using at the moment. Making the series start with First Blood and end with Last Blood. That's good since it felt like they had forgotten that it wasn't called just Rambo from the beginning. Totally Agee, First Blood and Rambo are both excellent. Rambo: First Blood part two, and Rambo III, are just a bit daft. They really did mess the titles of the films up a bit. Have to say I like the last one more than the others. The first movie follows a close second. 2 and 3 were great. They're OTT but there's nothing wrong with that. Nowhere near as good as the first but they were fun. If you're going to watch them then watch them all, don't skip any. I thought the fourth film was good but it came across like it was trying too hard to be gritty. I was a bit disappointed. Now what I was expecting-- even with the story taking place on the border (he's taking on the Mexican cartel).